The Justice Department today announced that a senior Swiss banker has been indicted on charges of conspiring to defraud the U.S. government by helping about 20,000 U.S. clients hide $20 billion in assets from the Internal Revenue Service. The indictment of Raoul Weil alleged that he conspired with a host of others at his bank, overseeing a business that employed encrypted laptops, numbered accounts and counter-surveillance techniques to help American clients conceal their identities and evade taxes. Weil oversaw the bank’s cross-border business that catered to U.S. clients, generating about $200 million a year in revenue for the bank, the Justice Department said in a news release. The announcement did not name the bank, describing it only as a large Swiss bank with offices worldwide. A report on UBS’s Web site says an executive name Raoul Weil was head of UBS’s wealth management international business between 2002 and 2007. The indictment says the Raoul Weil charged in the case was head of the unnamed Swiss bank’s wealth management business from 2002 through 2007. Weil was named chairman and chief executive of UBS’s global wealth management and business banking operations in 2007, the UBS site said. Other bank executives “at the highest levels of management” are unindicted co-conspirators, according to the indictment. The action announced today is part of a larger clash between the U.S. government and the tradition of secrecy that has been central to Switzerland’s lucrative banking industry. The crisis in Hungary recalls the heady days of the UK’s expulsion from the ERM. The financial crisis spreading like wildfire across the former Soviet bloc threatens to set off a second and more dangerous banking crisis in Western Europe, tipping the whole Continent into a fully-fledged economic slump. Currency pegs are being tested to destruction on the fringes of Europe’s monetary union in a traumatic upheaval that recalls the collapse of the Exchange Rate Mechanism in 1992. “This is the biggest currency crisis the world has ever seen,” said Neil Mellor, a strategist at Bank of New York Mellon. Experts fear the mayhem may soon trigger a chain reaction within the eurozone itself. The risk is a surge in capital flight from Austria – the country, as it happens, that set off the global banking collapse of May 1931 when Credit-Anstalt went down – and from a string of Club Med countries that rely on foreign funding to cover huge current account deficits. The latest data from the Bank for International Settlements shows that Western European banks hold almost all the exposure to the emerging market bubble, now busting with spectacular effect. They account for three-quarters of the total $4.7 trillion £2.96 trillion) in cross-border bank loans to Eastern Europe, Latin America and emerging Asia extended during the global credit boom – a sum that vastly exceeds the scale of both the US sub-prime and Alt-A debacles. Oct. 23 (Bloomberg) — Protesters blocked UBS AG‘s private banking branch on Zurich’s Paradeplatz as hundreds gathered in the Swiss financial center to seek curbs on executive pay after the country’s largest bank was forced to ask for government aid. Dozens sat on the steps of the bank’s entrance from midday shouting “return bonuses!” and waving red flags at bystanders and TV cameras. Unia, Switzerland’s largest trade union with more than 200,000 members, said about 1,000 people protested in front of UBS headquarters at an after-work rally. UBS’s $59.2 billion government aid package, announced last week, has prompted a popular backlash against executive pay in a country where tax evasion is not a crime and local governments offer tax breaks to lure millionaires. The bank paid about 12.5 billion francs in performance-related compensation for last year. 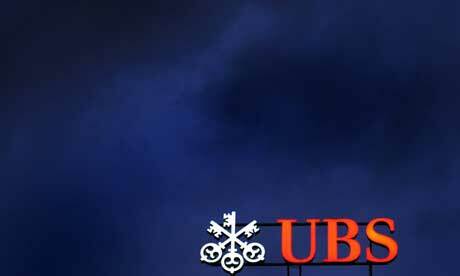 Oct. 16 (Bloomberg) — Switzerland gave UBS AG, the European bank with the biggest losses from the credit crisis, a $59.2 billion rescue and pushed Credit Suisse Group AG to raise funds, joining authorities around the world in shoring up banks. 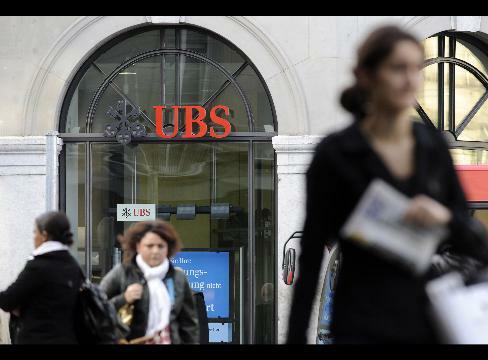 UBS will get 6 billion Swiss francs ($5.2 billion) from the government and put as much as $60 billion of risky assets into a fund backed by the central bank, the Zurich-based company said. Credit Suisse Group AG raised 10 billion francs from investors including Qatar and Tel Aviv-based Koor Industries Ltd.
Switzerland is the last of the world’s financial centers to pour cash into ailing financial institutions after losses on bad debts reached $647 billion globally and credit markets froze. The Swiss government plans to raise deposit guarantees and is ready to back the short- and medium-term interbank loans of the nation’s banks, after countries across Europe took similar measures. 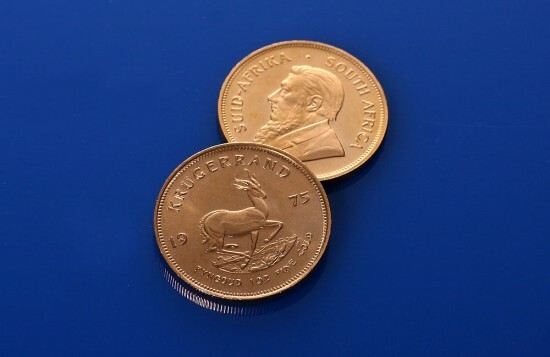 Aug. 28 (Bloomberg) — Rand Refinery Ltd., the world’s largest gold refinery, ran out of South African Krugerrands after an “unusually large” order from a buyer in Switzerland. 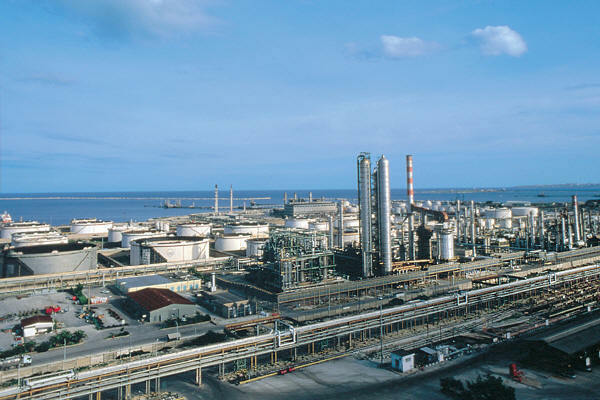 The order was for 5,000 ounces and it will take until Sept. 3 for inventories to be replenished, said Johan Botha, a spokesman for Rand Refinery in Germiston, east of Johannesburg. He declined to identify the buyer. Coins and bars of precious metals are attracting investors as a haven against a sliding dollar and conflict between Russia and its neighbor Georgia. The U.S. Mint suspended sales of one- ounce “American Eagle” gold coins, Johnson Matthey Plc stopped taking orders for 100-ounce silver bars at its Salt Lake City refinery and Heraeus Holding GmbH has a delivery waiting list of as long as two weeks for orders of gold bars in Europe. “A lot of people are worried about the dollar, they’re worried about inflation and now we have geopolitical risk with what’s happening in Russia,” said Mark O’Byrne, managing director of brokerage Gold and Silver Investments Ltd. in Dublin. O’Byrne said his company’s sales are up fourfold this year, heading for a record since its founding in 2003. Threatening to capsize a $2.1 billion injection into the European economy and making hundreds of thousands of people fear for their lives, authorities and the media today lent credence to an anonymous Internet posting that alleged Al-Qaeda were planning to attack the Euro 2008 soccer tournament. Presumably disinterested in attacking “the Great Satan” of America the terrorist group are now apparently turning their attention to that other evil empire…..erm…..Switzerland. That’s right, Al-Qaeda are targeting those bastions of evil Switzerland and Austria for devastation, according to Rupert Murdoch’s Sky News, despite the fact that both countries condemned the Iraq war. 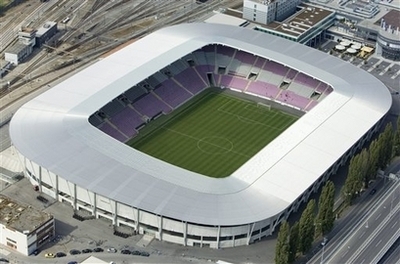 “The Euro 2008 tournament is a target cited by the Islamist terrorist network,” federal police spokesman Juerg Buehler told Swiss newspaper La Liberte. He said messages had been posted on Islamist websites and police were “following the situation very closely”. One of the messages urges terrorists to “transform the safest countries in Europe to the hell seen in Iraq or Afghanistan”. “The time has come for the fighters of the faith. They must make their voices heard,” said another. Brushing aside the media’s ludicrous and transitory stupidity of accepting an anonymous Internet posting at face value and immediately broadcasting it as gospel, the contention that global terrorists’ enemy number one is the tranquil haven of Switzerland, a country that has not been to war since 1515, is beyond belief. However, the real reason behind the Swiss being threatened may have more to do with recent geopolitical developments than anything else. The US and its allies are worried that the sanctions regime against Tehran is under threat from a possible new wave of European investment in Iran’s strategically important gas sector. Tehran has already concluded gas deals with Chinese and Malaysian companies – ending a protracted lull in investment in its energy sector – and has alarmed Washington by reaching an agreement with a Swiss group. The dilemma threatens to expose the limited US influence over foreign companies strategic decisions. Although Washington and its allies have convinced the United Nations Security Council to sign up to three sets of sanctions against Iran’s nuclear and missile sectors and banks, it has been unable to broaden such international measures into the key energy sector. Now, the US fears that a 25-year supply agreement concluded in March between Elektrizitäts-Gesellschaft Laufenburg (EGL) of Switzerland and Iran could encourage other deals, particularly in the gas sector, despite American calls for tougher sanctions against Tehran over its controversial nuclear program. Total could then follow suit and sign contracts of their own,” said one western diplomat. The internet could soon be made obsolete by a new “grid” system which is 10,000 times faster than broadband connections. Scientists in Switzerland have developed a lightning-fast replacement to the internet that would allow feature films and music catalogues to be downloaded within seconds.